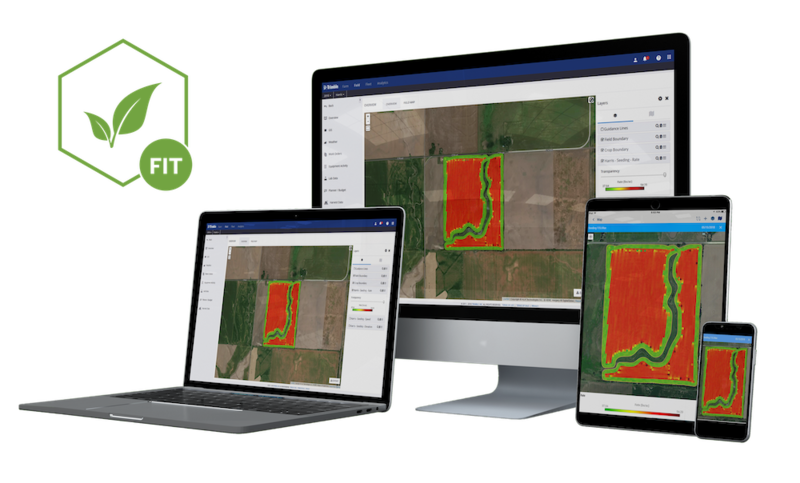 BOONE, Iowa, Aug. 28, 2018—Trimble (NASDAQ: TRMB) announced today that it has released a new agricultural software bundle, Farmer Fit, to its lineup of Trimble® Ag Software solutions. The new Farmer Fit software bundle equips farms of all sizes with a powerful yet affordable field record-keeping and mapping system—available 24/7 on desktop, online or mobile platforms. The announcement was made at the Farm Progress Show. Farmers today are facing many challenges in the quest to produce higher yields, while soft commodity prices are forcing them to lower costs. To achieve this, farmers are looking at a variety of options, including their farm management software, to help make informed, timely decisions that save money on inputs and create greater efficiencies on the farm. Farmer Fit subscribers have the option to upgrade to Trimble’s Farmer Pro software which gives them additional features including satellite-based Crop Health Imagery and Trimble’s Work Order management system. Farmer Fit is available now through Trimble’s distribution channel and directly from the Trimble Ag Software Marketplace store. For more information about Trimble Ag Software, visit: https://agriculture.trimble.com/software.